Reid's New Hair Cut!. My first thoughts- OMG!. 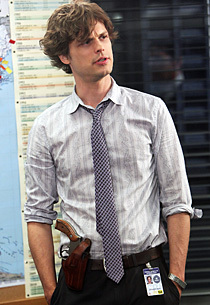 Wallpaper and background images in the Criminal Minds club tagged: criminal minds dr. spencer reid matthew gray gubler season 5. I love it he looks totally hot!